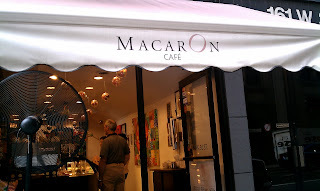 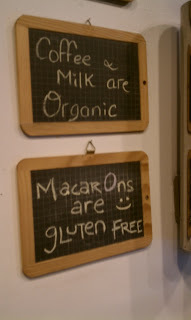 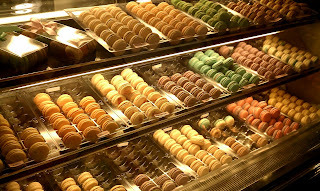 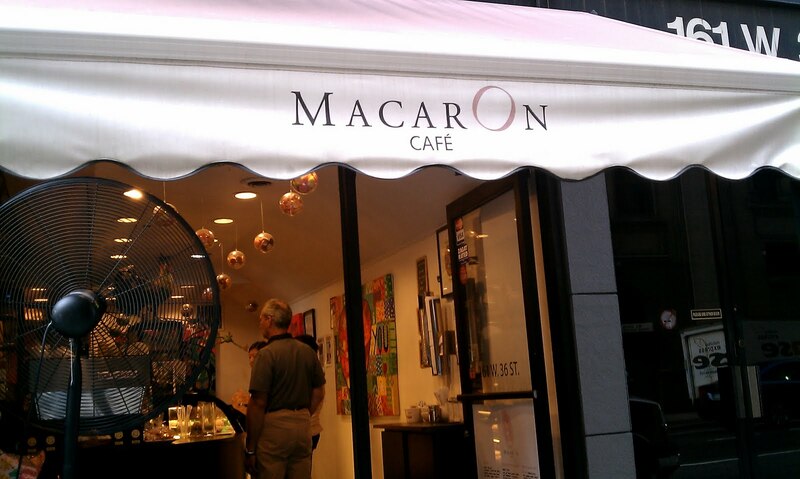 I made a quick visit to the MacarOn Cafe in the Garment District yesterday--mainly because I was craving macarons like MAD! And also because it's only a few blocks away from work--snack break! 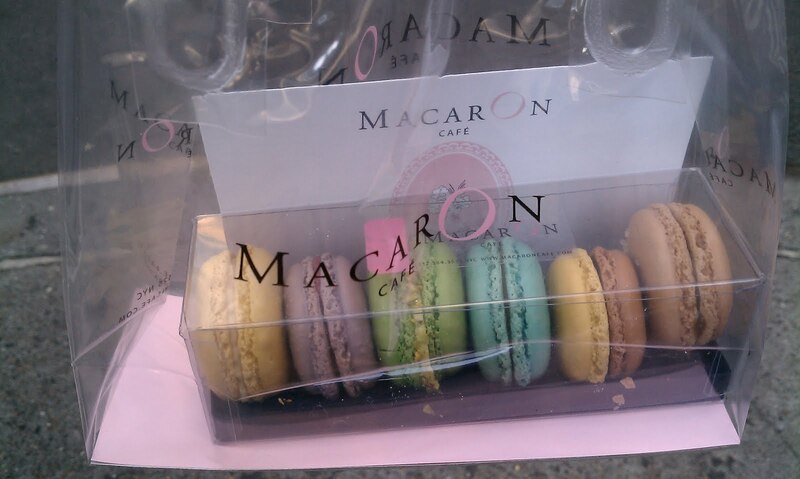 The beautiful loot (left to right): lemon, cassis, pistachio, peanut butter, passion fruit / chocolate, and dark chocolate. Price point: 6 macarons at $13.